The 3-star hotel is located in one of the most popular location in Cochin, and this is the reason for its immense popularity amongst travelers. 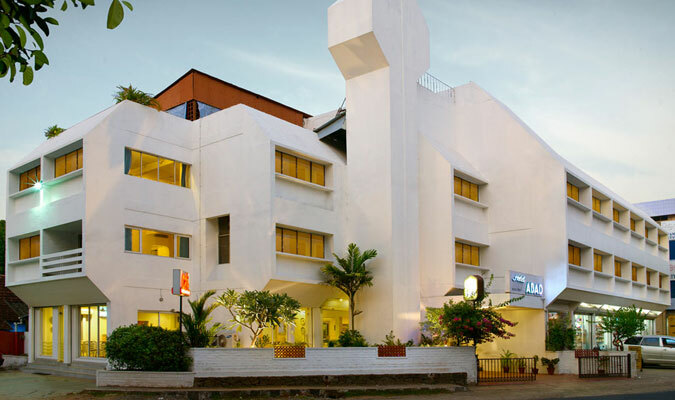 The hotel is one of the most accessible establishments in Cochin that offers an elegant stay with all the facilities and services required by a modern day tourist. The guests can avail some of the best Business and Entertainment facilities in the hotel. Business tourists may hold business meetings or conferences in the hotel’s business center while the vacation tourists can go for sightseeing, shopping or can just relax in their comfortable rooms. The hotel truly offers a memorable stay for all. The guests can avail any of the three categories of rooms in the hotel namely suites, deluxe rooms and standard rooms. All these rooms are constructed keeping in mind the comfort of the guests who stay here. The rooms contain an atmosphere that is simple relaxing and soothing. The rooms are decorated with lavish furnishings and elegant interiors. The Suites are very spacious and consists of large dining table with impeccable seating space and bed. All the rooms are very stylish and are available at very affordable rates. Installed with all the modern amenities, these rooms provide every ounce of comfort that a 3- star hotel can provide for. Every guest is treated with warm hospitality and given exquisite personalized services day in and day out. Pavilion: The multi cuisine restaurant is known for serving eclectic sea food to all the guests. The special feature of Abad Thali during lunch is preferred by all. Cafe Mattancherry:For a quick bite with your friends and family, this is a delightful restaurant.